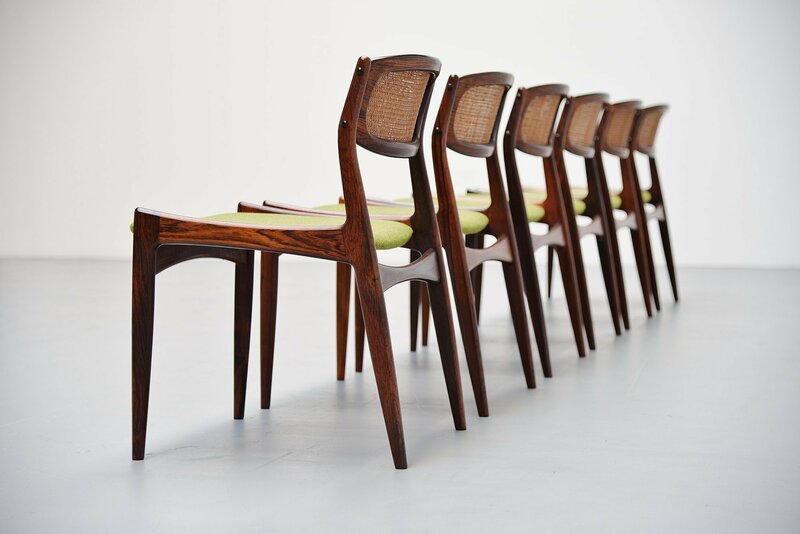 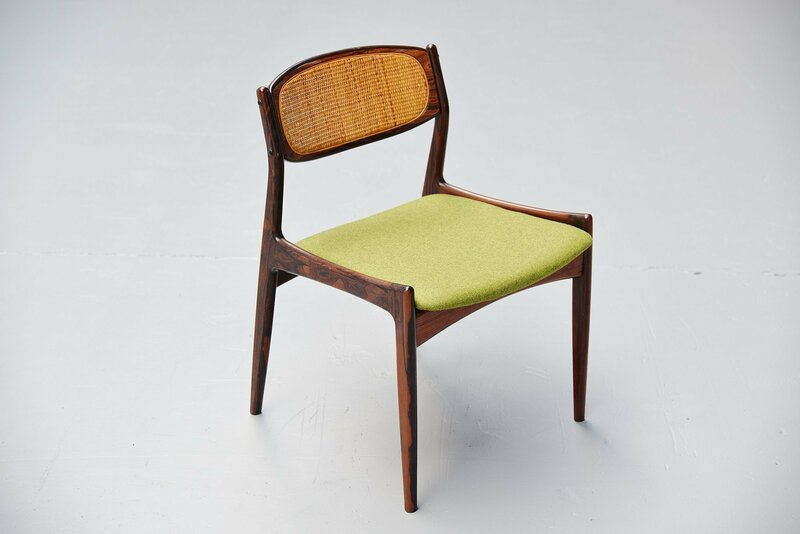 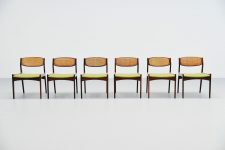 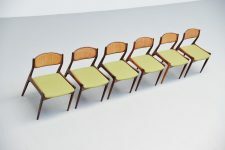 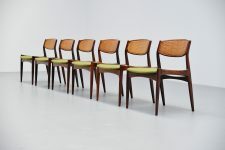 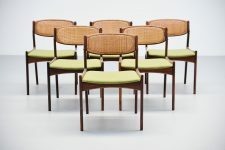 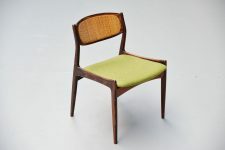 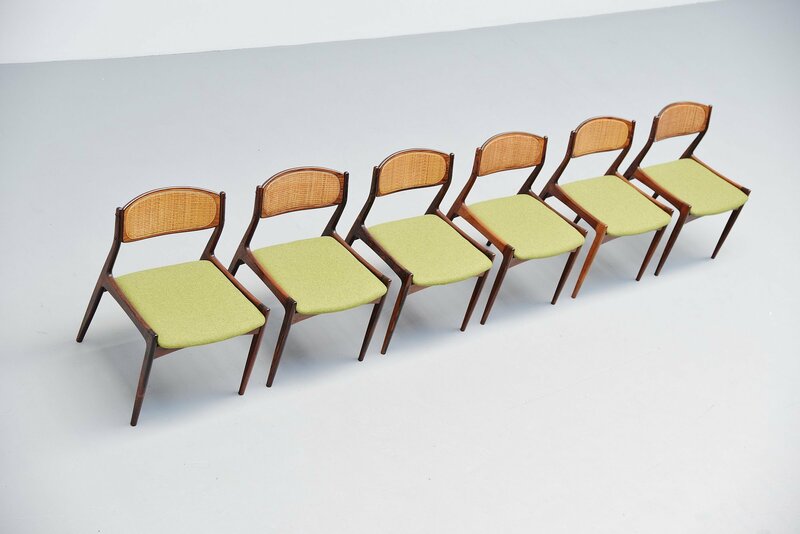 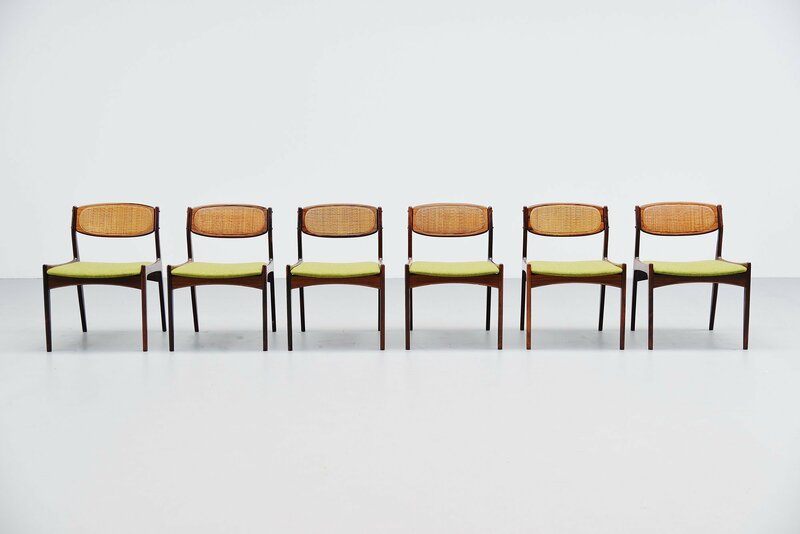 Stunning set of dining chairs designed by Ib Kofod Larsen and manufactures by Chrisian Linneberg, Denmark 1960. 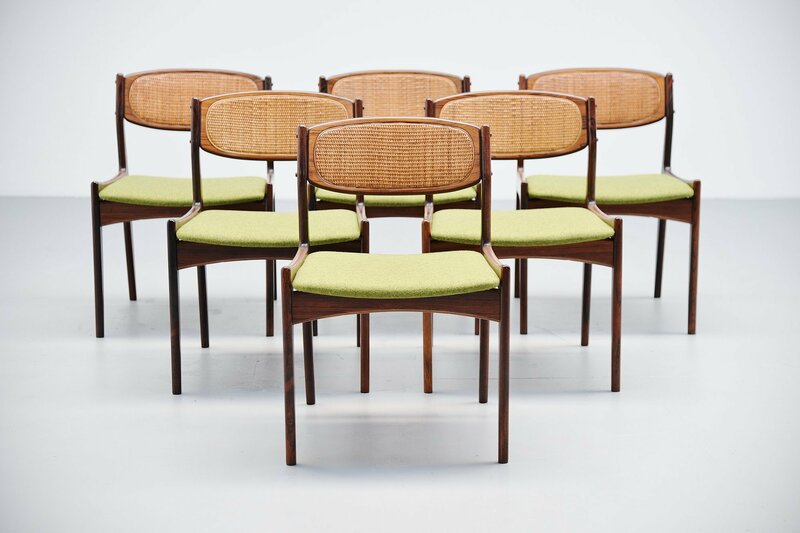 These chairs are model 4325 and have a solid rosewood frame, cane work inlay back and newly upholstered seats with Divina fabric by Kvadrat. 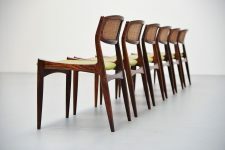 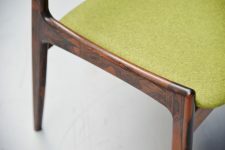 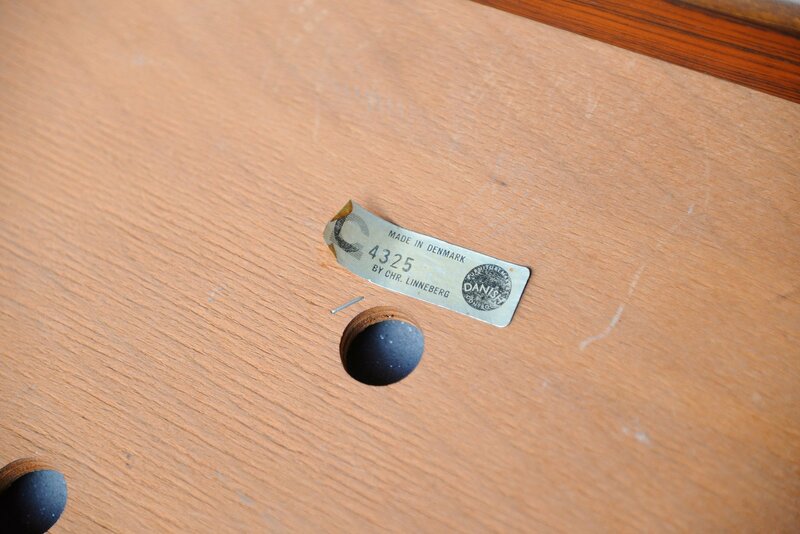 The chairs are in excellent condition and the solid rosewood frames have very nice grain to the wood. 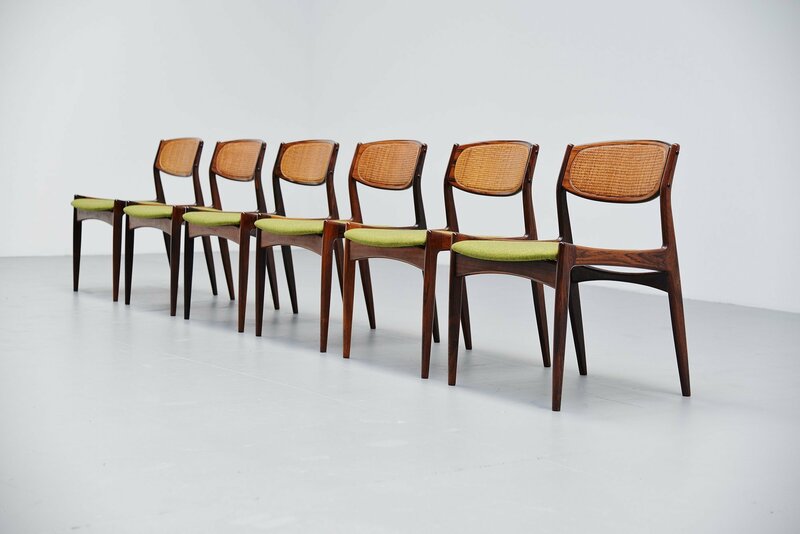 The chairs are extremely rare and hard to find, especially in this amazing set of 6 rosewood chairs in this spectacular condition.